8 Remarkable Cell Phone Cases & Accessories to Knock Your Socks Off! (Guest Post) ~ Android Forever! Are you still wearing the same two pairs of shoes you've had for the last 5 years? Hmmmm! Although shoes can be quite comfortable when broken in, they just don't offer the same appeal as they did when new. Furthermore, they don't repel all the water, dirt and "stuff" quite as well as a new pair would! And wow, do they get scuffed up! That being said, we feel that you shouldn't own just one cell phone case (hey, they're the shoes for your phone) either. In fact, a few spare cases is a refreshing and protective way of safeguarding that your phone is kept pristinely pure and snappy looking! 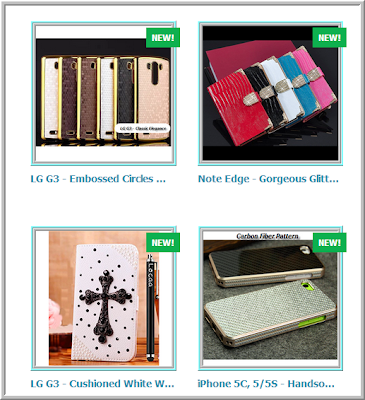 Here are a few cases from coolmobileaccessories.com that you may want to grab, because there's no better way to revive the love of your phone than in setting it in a brand new outfit! Now that you've seen a few fun cell cases for the family, let me also mention that you can enjoy a 10% off coupon to save on your purchase using code WELCOME10. 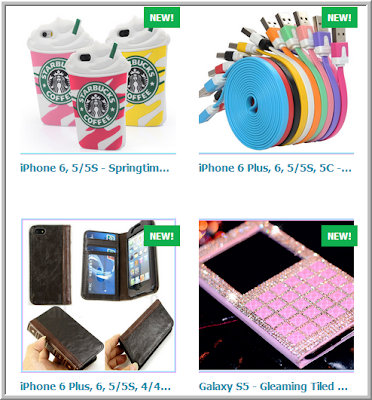 Swing by coolmobileaccessories.com to feast your eyes!